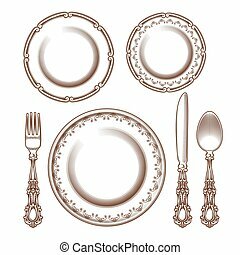 Engraving cutlery and dinner plates. 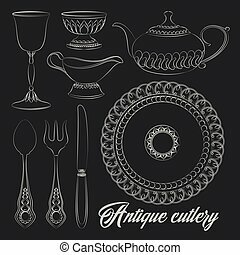 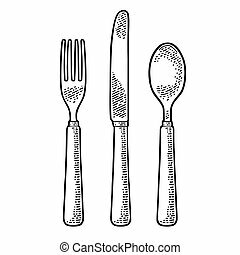 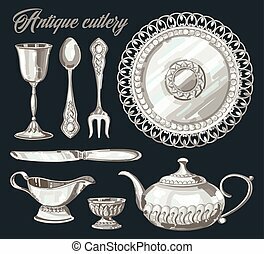 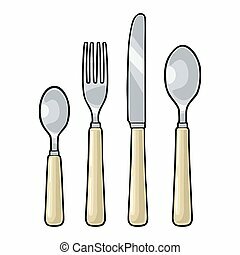 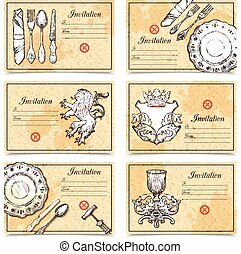 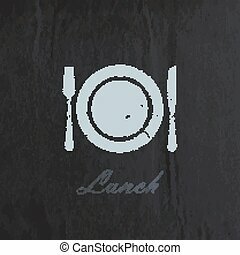 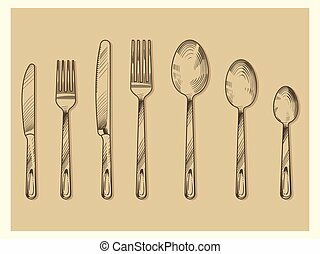 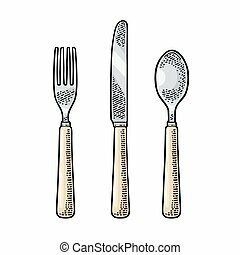 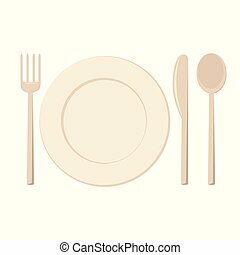 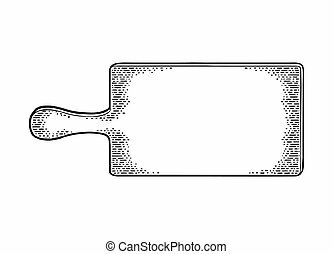 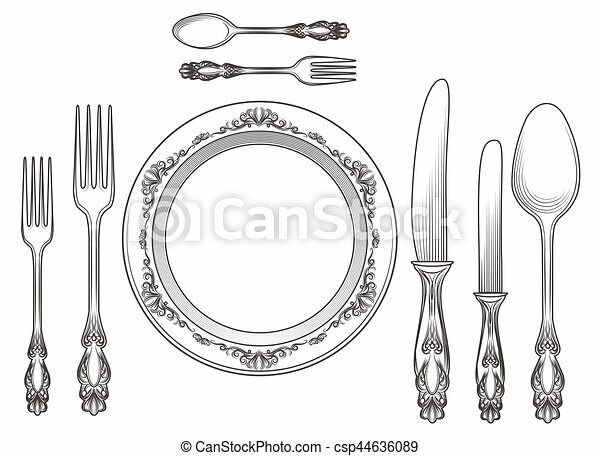 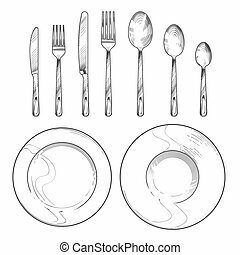 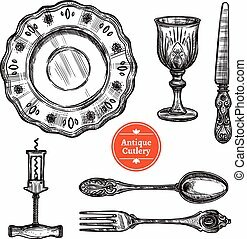 Engraving empty plate with spoon, knife and fork vector illustration. 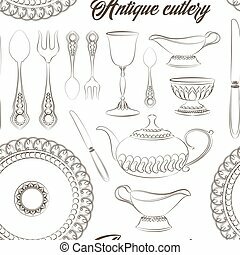 cutlery and dinner plates hand drawn sketch for restaurants.